Ramswaroop Verma (22 August 1923 – 19 August 1998) was born into a Kurmi peasant family of Gaurikaran village, Kanpur Dehat, in Uttar Pradesh. His father Vanshgopal and mother Sukhiya wanted that their son to acquire higher education. Verma was a brilliant student. He did his MA from Allahabad University and LLB from Agra University in an era when the institutions of higher learning were virtually out of bounds for the Shudras – though the British rulers were gradually easing restrictions on women and Shudras acquiring education. He studied Urdu, English, Hindi and Sanskrit. After completing his education, Verma had three options before him – joining the administrative service, practising law or serving the Bahujans of India through politics. 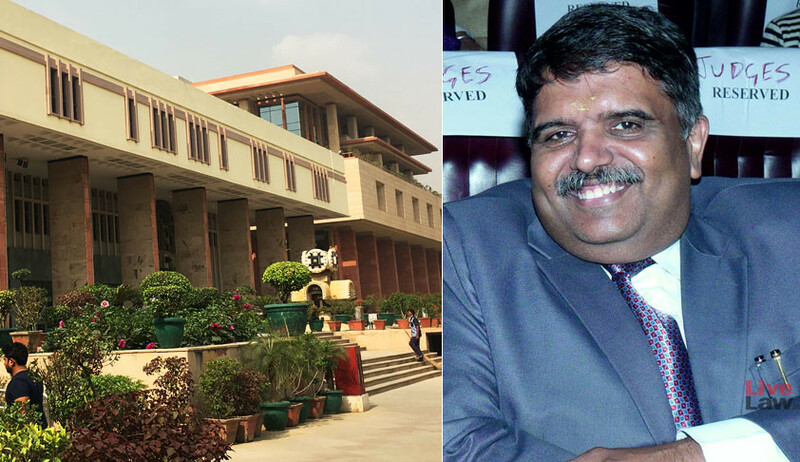 Verma had cleared the written examination for recruitment to the IAS but even before appearing for the interview, he had decided on the course his life would take. He knew that he could lead a comfortable life by joining the IAS, but as a civil servant, it would not be possible for him to liberate the Bahujan community from its belief in fate, rebirth, superstitions, ritualism and miracles. On 1 June 1968, in Lucknow, he founded the Arjak Sangh for raising social awareness and consciousness. Ramswaroop Verma owed his political consciousness to a speech of Dr Ambedkar at the convention of the workers of Scheduled Castes Federation at Park Town Ground in Madras on 1944. Ambedkar had said, “Go and write on your walls that you want to be the governing community of the country so that you can remember it every time you walk past them. Another speech by Ambedkar at Begum Hazrat Mahal Park, Lucknow, on 25 April 1948, in which he said that the SCs, STs and OBCs would come on one platform; they would be able to take the place of Vallabhbhai Patel and Pandit Jawaharlal Nehru. 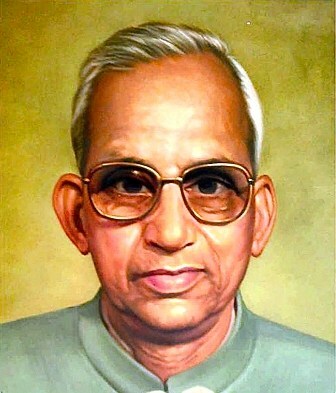 Verma’s idea behind the Arjak Sangh was to promote social unity of the SCs, STs and OBCs. Earlier, he was in the Samyukta Socialist Party (SSP), the chief opposition to the Congress. Led by Ram Manohar Lohia, SSP had become the symbol of anti-Congress-ism in the country. Lohia had coined the slogan “Sansopa ne baandhi gaanth, sou mein paavein picchde saat”. (Samyukta Socialist Party is adamant that the Backwards should get 60 out of 100). This slogan had paved the way for the OBCs’ association with the SSP. Verma also joined the SSP. As Verma was born in a village, he was conversant with the grim realities of rural India. Verma was a protagonist of total revolution. There was no middle course for him. He believed that a real and complete revolution would result in perfect equality in all the four facets of life – social, political, economic and cultural. Revolution is a much-abused word and few understand its real meaning. Some think that revolution is some kind of magic that will transform everything in a jiffy. On the contrary, revolution is just another name for consistent and continuous change. A re-rendition of the pre-ordained values of life in the interest of humanity is revolution. Though Verma was associated with Lohia’s SSP, he had ideological differences with him. Lohia was a Gandhian for whom Maryada Purushottam Ram and Mohandas Karamchand Gandhi were idols. Ambedkar had said, “Uproot inequality and Brahmanism and dynamite the Vedas and the shastras.” No wonder Verma asked the workers of Arjak Sangh to celebrate the birth anniversary of Ambedkar as Chetna Diwas. He directed Arjak Sangh activists all over the country to burn the Manusmriti and the Ramayana from 14 April to 30 April 1978 to spread awareness among the indigenous inhabitants of India. The Arjak Sangh activists enthusiastically did that. In 1967, Verma, an MLA, joined the coalition government led by Chaudhary Charan Singh as the finance minister. He presented a surplus budget and was the only finance minister of Uttar Pradesh to do so. During his tenure, he ensured the availability of literature on Ambedkar in all the government and non-governmental libraries of the state. Another government banned Ambedkar’s books Jatibhed Ka Ucched and Dharma Parivartan Karein and ordered seizure of the copies of the two books. Verma had a petition filed in the Allahabad High Court through Lalai Singh Yadav. 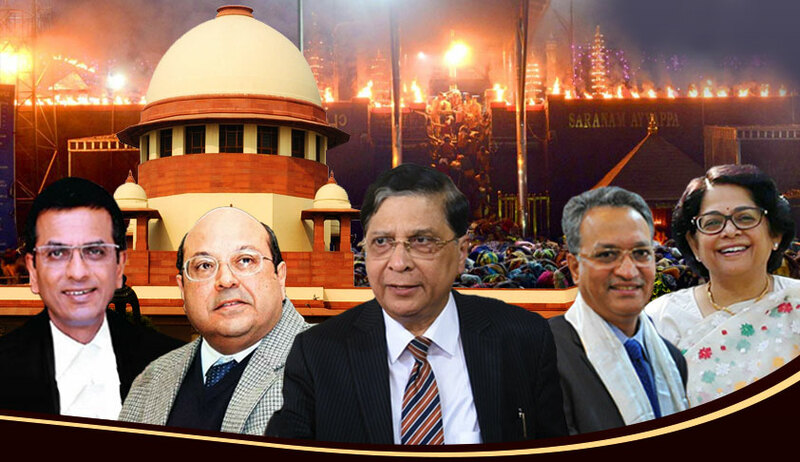 The Allahabad High Court quashed the ban order. He filed a defamation case against the Uttar Pradesh Government and won damages. Writing about the relationship between Lohia and Verma, well-known writer Mudrarakshas says, “When I met Verma ji at the bungalow of Dr Ram Manohar Lohia on Gurudwara Rakabganj Road, New Delhi, at around 1 pm, they were in the middle of a bitter argument on the Ramcharitmanas. Dr Lohia had a liking for the Ramcharitmanas and equally admired the Manusmriti. Earlier, I had also confronted Dr Lohia over the Ramcharitmanas and Manusmriti. Lohia saw Hindutva from Gandhi’s perspective. He, of course, believed that many things in Hindu religion needed change and revision but he was not for the outright rejection of Hindutva. On the other hand, Ramswaroop Verma wanted freedom from Hindutva to initiate revolutionary and fundamental changes in Indian society. Dr Lohia did not agree with this approach. He had a big row with Lohia on this issue and that ultimately led to him parting ways with Lohia’s party.” Subsequent events proved how right Verma was. Later, Lohia developed close ties with the Janasangh. It is was his love for Hindutva that led Lohia to canvass for Janasangh chief Deendayal Upadhyay and that was why one of his close associates George Fernandes almost joined the BJP. Verma’s slogan was “Marengein, mar jayagein, Hindu nahi kahlayegein” (We will kill and we will die but we will not call ourselves Hindu). Dr Ram Manohar Lohia’s ideal was Gandhi and Gandhi’s ideal was Ram, who had taken birth for the protection of Brahmins and their religion. Gandhiji was a supporter of the Varna system, which was the factory of the caste system. Thus, it would be erroneous to describe Lohia as a socialist. The Ramcharitmanas described the backward castes as barbarians and base. But it was the ideal treatise for Lohia, who even used to hold Ramayana melas. Then, how could he be called a socialist? Lohia was not a socialist but a Brahmanvadi. On the other hand, Verma fought all his life for uprooting Brahmanism. Following in the footsteps of Buddha, Verma became his own lamp. Ramswaroop Verma was firmly of the opinion that only social consciousness could bring about social change and social change had to precede political change; if, somehow, political change was brought about, it wouldn’t last long in the absence of social change. Verma was not interested in social reform; he was for social change. He used to say that if a piece of potassium cyanide was dropped into a can of milk and then drawn out, the milk would still be poison. He said that brahmanical values were not amenable to reform. Brahmanism couldn’t be reformed, it had to be banished. Ramswaroop Verma never compromised on principles. He politics was based on principles. He passed away on 19 August 1988. He is not with us but his thoughts are very much alive. 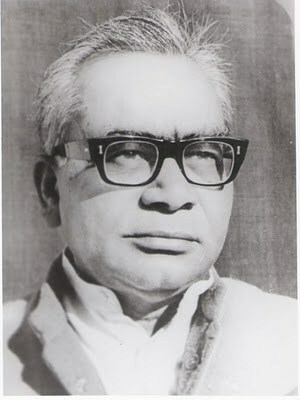 Writing about the relationship between Lohia and Verma, well-known writer Mudrarakshas says, “When I met Verma ji at the bungalow of Dr Ram Manohar Lohia on Gurudwara Rakabganj Road, New Delhi, at around 1 pm, they were in the middle of a bitter argument on the Ramcharitmanas. Dr Lohia had a liking for the Ramcharitmanas and equally admired the Manusmriti. Earlier, I had also confronted Dr Lohia over the Ramcharitmanas and Manusmriti. Lohia saw Hindutva from Gandhi’s perspective. He, of course, believed that many things in Hindu religion needed change and revision but he was not for the outright rejection of Hindutva. On the other hand, Ramswaroop Verma wanted freedom from Hindutva to initiate revolutionary and fundamental changes in Indian society. Dr Lohia did not agree with this approach. He had a big row with Lohia on this issue and that ultimately led to him parting ways with Lohia’s party.” Subsequent events proved how right Verma was. 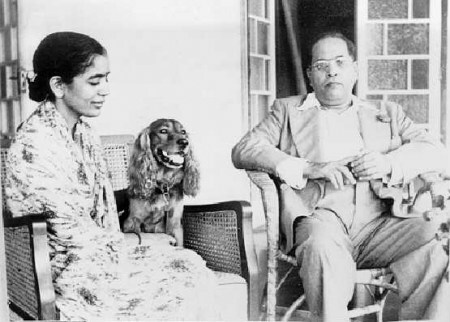 Later, Lohia developed close ties with the Janasangh. It is was his love for Hindutva that led Lohia to canvass for Janasangh chief Deendayal Upadhyay and that was why one of his close associates George Fernandes almost joined the BJP. Verma’s slogan was “Marengein, mar jayagein, Hindu nahi kahlayegein” (We will kill and we will die but we will not call ourselves Hindu). Dr Ram Manohar Lohia’s ideal was Gandhi and Gandhi’s ideal was Ram, who had taken birth for the protection of Brahmins and their religion. Gandhiji was a supporter of the Varna system, which was the factory of the caste system. Thus, it would be erroneous to describe Lohia as a socialist. The Ramcharitmanas described the backward castes as barbarians and base. But it was the ideal treatise for Lohia, who even used to hold Ramayana melas. Then, how could he be called a socialist? Lohia was not a socialist but a Brahmanvadi. On the other hand, Verma fought all his life for uprooting Brahmanism. Following in the footsteps of Buddha, Verma became his own lamp.